Celebrating its 30th year of specialism, Gainsborough Specialist Bathing, will be highlighting its complete accessible bathing and servicing capabilities at the Care Show (stand C20, 17-18 October, NEC, Birmingham). 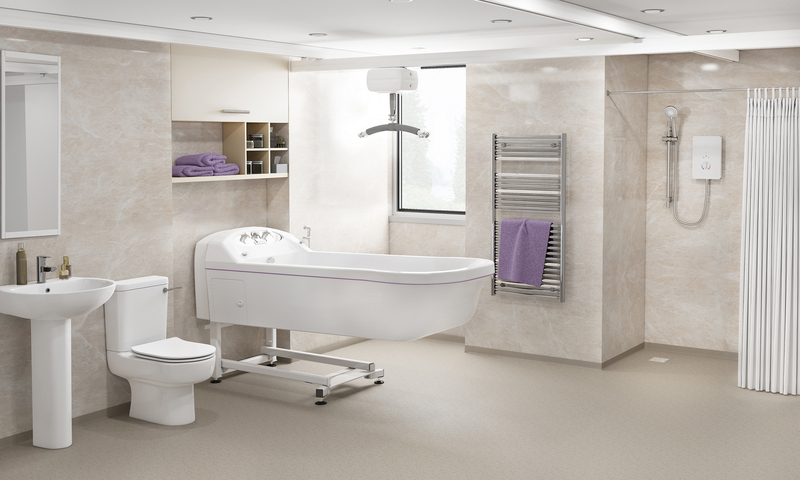 Regarded as the thought leader in assisted baths for the long term and acute care sectors, Gainsborough has been a proven and innovative UK manufacturer since 1988. As a holistic specialist it has the capabilities to deliver total solution management for accessible bathing in care homes, hospitals and rehabilitation centres. This holistic proposition represents significant cost saving and long-term strategic value to healthcare providers – now available at a time when budget and CQC challenges are more pronounced than ever before. Part of the Gainsborough Healthcare Group, Gainsborough Specialist Bathing is a trusted outsource partner that provides efficient installation, management and servicing of power-assisted baths and accessible wet rooms. It is a proud ‘turnkey’ provider with 360-degree expertise in provision of bather-centric solutions that ensure safety, comfort and dignity for vulnerable users. Its management capabilities can synergise with a world-class product portfolio that excels in ergonomics, efficiency and infection control. Gainsborough three-tier servicing, management and Loler testing programmes deliver scalable benefits that significantly assist with CQC hygiene compliance and commercial expenditure. Its specialist team delivers diligent inspections, testing, monitoring and servicing so safety conformity is assured. This safeguards care services and strengthens moving and handling best practice. Whilst in financial terms, effective project management and ongoing maintenance mean asset value is enhanced so return from capital investment is maximized. Equipment lifespan and reliability are increased so downtime and additional resource pressures can be avoided. In the event of an issue, Gainsborough has an established nationwide network of engineers who are backed up by efficient parts and material supply so solution provision is rapid.